44 pages. Free Spirit, 1998. Kids are similar in many ways and different in many others, including age, family size, neighborhood, school, holidays and celebrations, skills and abilities; color of hair, eyes, and skin; height, and hair texture. Kids affirm that they like their own body and appearance, and that other kids' bodies are "just right" for them. They show readers how to work and play cooperatively and to communicate acceptance, and they encourage readers to listen to one another, to try to understand one another, and to be ask kind as they can be. This book communicates a positive sense of respect for differences and gives clear examples of ways to get along with other kids. This sweet book does just what it promises, beginning with the tip, "Begin each day by making funny faces in the mirror." It encourages joy through both concrete behaviors like making cupcakes, eating vegetables, reading, dancing, and making music and art; and more abstract ones like experimentation, sharing troubles with someone close, and being yourself. The deceptively childlike illustrations help convey a sense of wonder and delight. 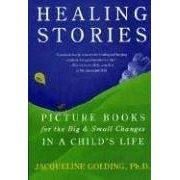 When a child is feeling overwhelmed, this book can provide a welcome sense of reassurance and grounding in everyday life. Illustrated by Ronald Himler. 32 pages. Eerdmans, 2008. Even when severely traumatized, children can find hope by keeping with them someone they have lost. In this deeply moving book, based on a true story, four-year-old Kim’s mama dies when their village in Vietnam is bombed. She whispers her last words to Kim: “Don’t be afraid … I will always be with you.” Partially blinded and left for dead, Kim reminds herself of her mama’s words. Eventually, American soldiers find her and take her to an orphanage, where she lives for five years. In the care of loving foster parents there, she is able to make friends, and to reclaim her capacities to learn and to play. Kim uses play as well as words to keep her mama’s love with her. Her foster parents acknowledge the pain of her loss. Along with their reassurance, the memory of her mama’s words allows her to cope with living in a terrifying world. For children who have sustained terrible losses, Kim’s story can serve as a powerful source of hope. Sometimes kids need support around accepting their differences so that they can be themselves. Tom, a cat, is "a little different" from birth. He's scared of mice, climbs trees, builds nests, hangs upside down, and wallows in the mud. Rather than meowing, he quacks, moos, and barks. His parents tend to emphasize his "differentness" at first, telling him what cats do. But soon they begin to tell him that he really is a cat, in spite of his speculations that he might be a chipmunk or a kangaroo. When they finally tell him that they love him no matter who he is, he finds himself meowing - and enjoying it so much that he never wants to quack or moo again. Once he's reassured that his parents love him even if he stretches the boundaries of being a cat, he's free to be himself. This story may help children find a sense of perspective about feeling different. 26 pages. Tricycle Press, 2002. As this story opens, a potty sits in the jungle. A note next to the potty says, "'Only the best bottom of all will fit on this potty.'" Various animals try the potty, but none of their bottoms fit on it. The gorilla puts it on his or her head. When the tortoise is taking a turn, the other animals leave for a while. When they return, a boy is on the potty. The animals agree that he has "the best bottom of all." As the story ends, author asks the reader, "Does your bottom fit on the potty?" This story has the potential to tempt reluctant toddlers to try the potty.